Photo: Forden Photography. Design: Bird Graphics; Featuring Michael Tow & Lisa Nguyen. Introduction: Below are two pieces in response to The Nora Theatre’s production currently playing at Central Square Theater in Cambridge, MA. First is my critique of the production. The second is an opinionated response from fellow Geek Noelani Kamelamela. I asked Noelani to write a response to the production because representation is important. 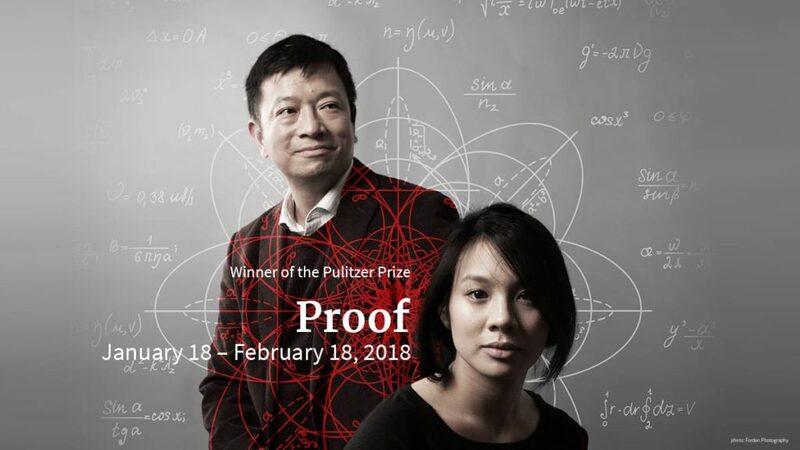 Three out of four cast members of Proof are Asian-American. This is significant because David Auburn didn’t factor race into his writing process. This means white was his default. No one gets extra credit for treating people of color like human beings. The Nora does get kudos for subverting the racial paradigm.